CollegeTShirtClub.com was a fun project because the business idea seems golden. 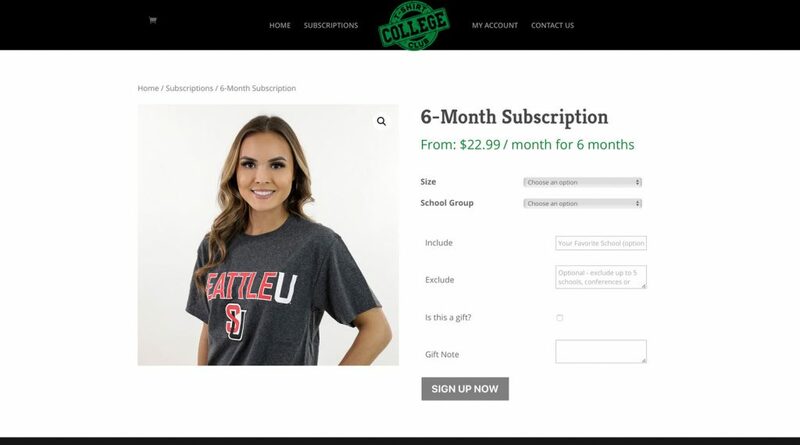 The website sells subscriptions for customers to receive random college shirts each month. The site design evokes that cool college vibe while being easy to navigate and simple to manage.